At Kontiolahti Fish farm the cuttings of salmon, trout and rainbow trout are cultivated to juveniles. Spawn is hatched and the juveniles of 0+ age-class are farmed inside. The older juveniles are farmed outside in surface basins. The water flow is 100-170 l/s depending on the season. The oxygen rate of the becoming water to the farm was not enough time to time, only 4.5 mg O2/l. It should have been at least 7 mg O2/l to keep the growth of fish fast enough. Low oxygen rate caused problems for the growth of fish. 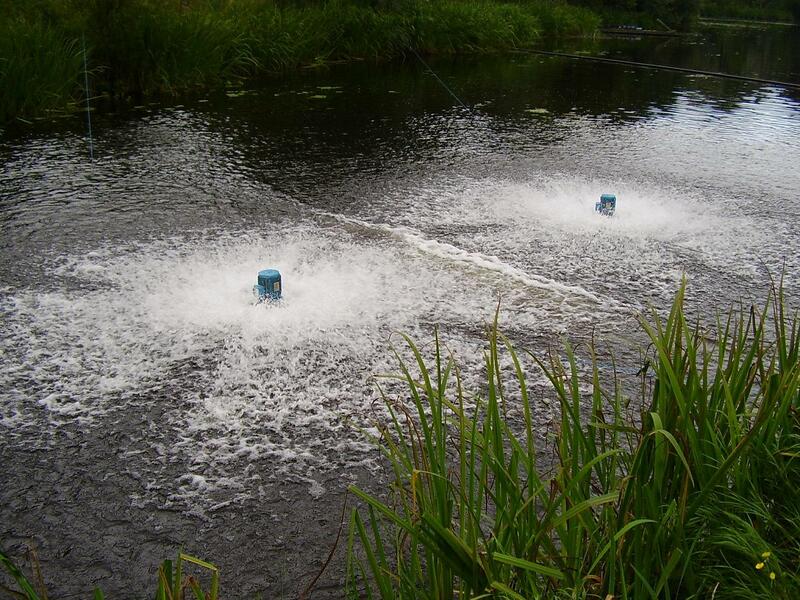 In summer 2008 two Airit® 70 aerators were installed to the farm. During installation the water flow was approximately 170 l/s. Aerators were placed very near the point of becoming water. The rate of dissolved oxygen got up quickly from 4.5 -> over 7 mgO2/l. The Fish farm at Kontiolahti was able to receive KOR-funding (Fund for Aquaculture). Nowadays similar funding is possible to have from European Fund of Aquaculture. At Kontiolahti Fish farm there was a need to improve the oxygen rate of becoming water. By using two Waterix Airit® 70 aerators the Fish farm can improve the boost production and the living conditions of fishes.